What is the Olympus LS-5? It’s a high-spec portable audio recorder. If capturing high-quality audio is something you need to do, then this device show be top of your list. This is a linear recorder – if that’s a term you’re not familiar with, it means that it records audio without any compression. Portable recorders, including electronic dictation machines, mini-disc players (remember them?) 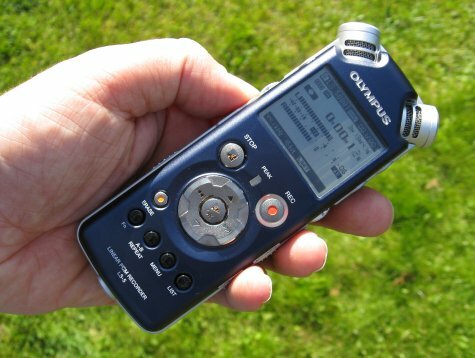 and mobile phone voice recorders all use compression to keep the file sizes down, but this recorder from Olympus records uncompressed PCM WAV. It can also record in Windows WMA and even in MP3 (handy for podcasts). If you’re looking for a powerful handheld audio recorder, then the new LS-5 from Olympus should be top of your list. We’re currently putting the LS-5 through its paces, and we hope to have a full review very soon. In the meantime, here’s what we have so far. 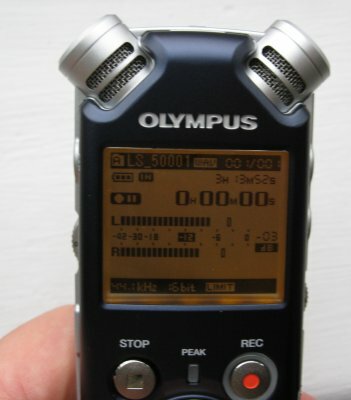 The Olympus LS-5 is supplied with a CD version of Olympus Sonority – This software package handles the transferring and managing audio files, plus editing of recorded audio. The Sonority software detects when you have connected your LS-5, and allows you to play files or to transfer recordings. It also supports audio editing, adding effects such as echo, vocal boost and noise reduction. 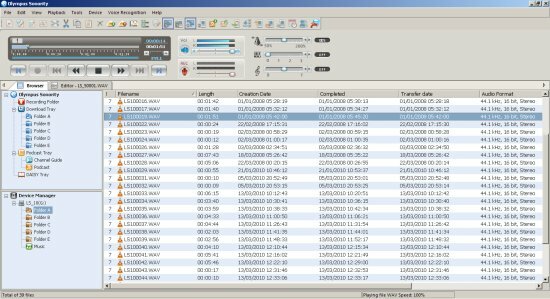 Olympus Sonority is a software application that connects your PC with an OLYMPUS Voice Recorder, allowing for the centralized management and editing of audio files. 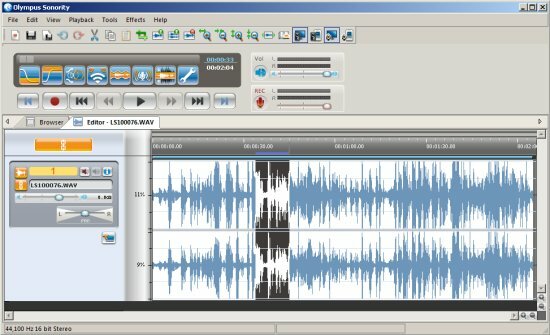 In addition to sound recording, playback, and splitting/combining files, this software makes audio and music editing more enjoyable by including a file converter and various effect features. Podcasting Explained – Just what is a podcast, anyway?